Composed by David Hurd (1950-). 21st Century, Repertoire, Recital. Score, Solo Part. 41 pages. Published by Musik Fabrik (S0.276027). 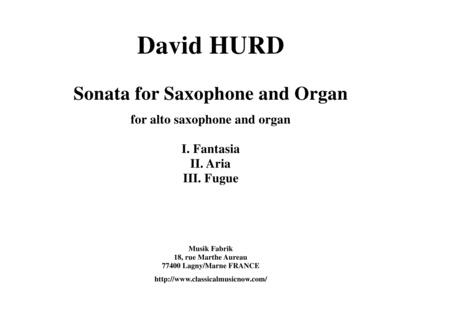 David Hurd was born in Brooklyn, New York, on 27 January 1950. Prior to his under-graduate studies at Oberlin College, he attended both the High School of Music and Art and the Juilliard School. Upon graduation from Oberlin in 1971 (Mus.B. ), he was appointed Assistant Organist of Trinity Parish in lower Manhattan where he served under the direction of Larry King. He was appointed to the faculty of Duke University in 1972 concurrent with graduate studies at the University of North Carolina, Chapel Hill. In 1973 he returned to New York as Organist and Music Director at the Chapel of the Intercession, a position he retained until 1978 when he was named Composer in Residence for a season. In 1976 he was appointed to the faculty of The General Theological Seminary in New York City where he is presently Professor of Church Music and Organist. In addition, has served as Director of Music at All Saints Church, New York City, from 1985 to 1997 and is currently Director of Music at The Church of the Holy Apostles. In 1977 he was awarded first prizes both in organ playing and in improvisation at the International Congress of Organists. He has concertized throughout North America since that time under the representation of Phillip Truckenbrod. He has performed both at National and Regional Conventions of the American Guild of Organists. In 1981 he was invited to perform at the Internationaal Orgelfestival Haarlem, meeting in Gouda, the Netherlands, during which he received the diploma for improvisation of the Stichting Internationaal Orgelconcours. His principal organ teachers were Bronson Ragan, Garth Peacock, and Arthur Poister. In 2009, Dr. Hurd was named the 15th "Distinguished Composer" of the American Organ Guild. Other composers who have received this award include Virgil Thomson, Ned Rorem, Daniel Pinkham, Conrad Susa, William Bolcom and Dominick Argento. Dr. Hurd will be honored at a special concert during the 2010 AGO convention which will feature a newly commissioned work.